NASA announced it will send the Mars Helicopter to the Red Planet with the previously announced Mars 2020 rover, set to launch in two years from Florida. PASADENA, Calif. - NASA is planning to send a tiny autonomous helicopter to Mars on its next rover mission to the red planet. 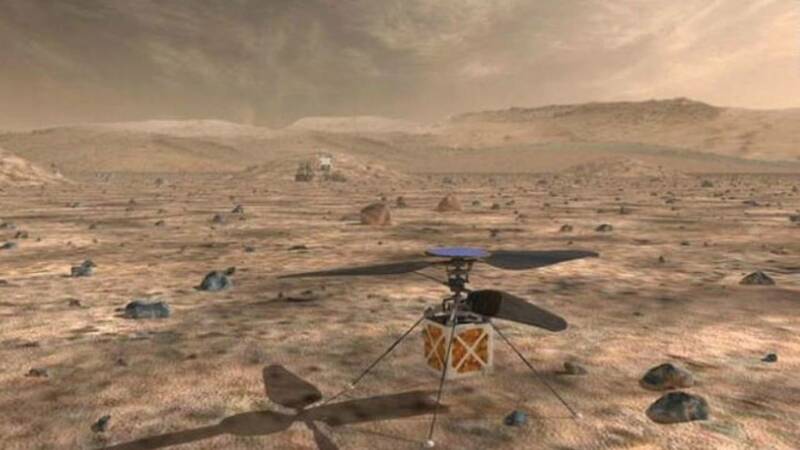 The space agency announced Friday that the helicopter will be carried aboard the Mars 2020 rover as a technology demonstration to test its ability to serve as a scout and to reach locations not accessible by ground. The helicopter is being developed at NASA's Jet Propulsion Laboratory in Southern California. The craft weighs less than 4 pounds, has a fuselage about the size of a softball and twin, counter-rotating blades that will spin at almost 3,000 rpm - a necessity in the thin Martian atmosphere. Solar cells will charge its lithium-ion batteries. Flights will be programed because the distance to Mars precludes real-time commands from Earth.